Introduction: To a modern cartographer a map should represent geographic reality by means of coordinates such as latitude and longitude. 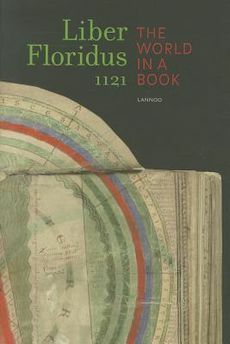 Not one of the cartographic images in the Liber Floridus corresponds to this definition, yet not a single work on historical cartography omits the early-twelfth-century encyclopaedia. Together with the portolans (thirteenth-century Mediterranean sea charts) and itineraria (Romanesque road maps) the medieval mappae mundi or ‘maps of the world’ represent the very beginnings of cartography. Until the sixteenth century, in the work of Gerard Mercator, for example, the holistic approach of the medieval mappae mundi remained the starting point for compiling maps and especially atlases. Unlike modern maps of the world, the medieval mappae mundi show place and time in the same image. They are four-dimensional, as it were. Simultaneously world map and timeline, they chart the course of history along a path from east to west. On Lambert of Saint-Omer’s maps the creation of the world is situated in the east. Paradise lies beyond India. And beyond that again is Europe, the Occident, where the perils of the apocalyptic End Time await. Between these two extremes, salvation history takes its course. Armenia, where Noah landed; Chaldea, the homeland of Abraham; the oracular Tree of the Sun and Moon that foretold the death of Alexander the Great; the land of Ophir whence Solomon received his gold; Judea, where the New Testament is enacted; Gog and Magog, who at the End Time will burst forth from the gates of the Caucasus where Alexander penned them up… All this is depicted on Lambert’s mappa mundi, which sadly we know only from the copies of the Liber Floridus as the map in the original manuscript has not survived.